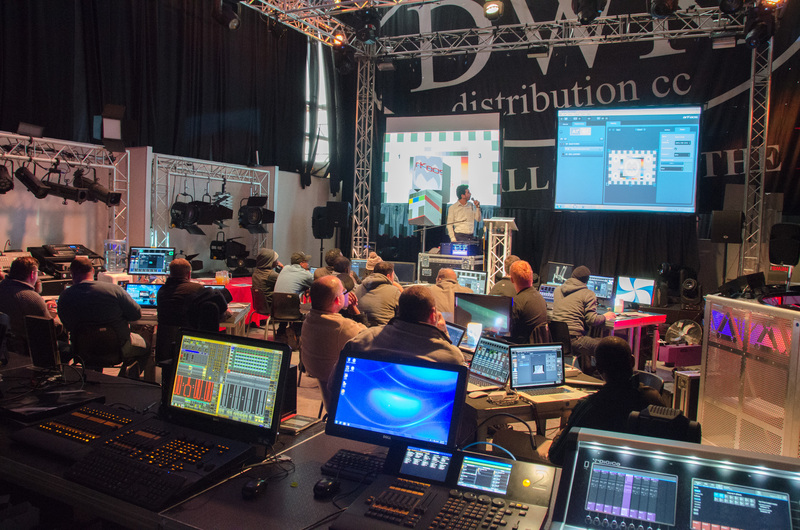 Elation Lighting Inc., based in Los Angeles, has been successfully offering ArKaos MediaMaster Express software for the past five years, as well as integrating ArKaos Kling-Net protocol into many of its lighting products. Elation has now entered into an agreement with ArKaos and A.C. Lighting Inc. to start selling ArKaos media servers to Elation’s U.S. and Mexico dealers. A.C. Lighting has been the exclusive North American distributor for the ArKaos range of media server solutions since 2012. The agreement between A.C. Lighting Inc. and Elation opens access to these powerful media servers to the entire Elation dealer network in the U.S. and Mexico. GrandVJ launches a brand new version today. Read more about GrandVJ launches a brand new version today. GrandVJ launches a brand new version, namely the GrandJV2.3 with some interesting new features and improvements. 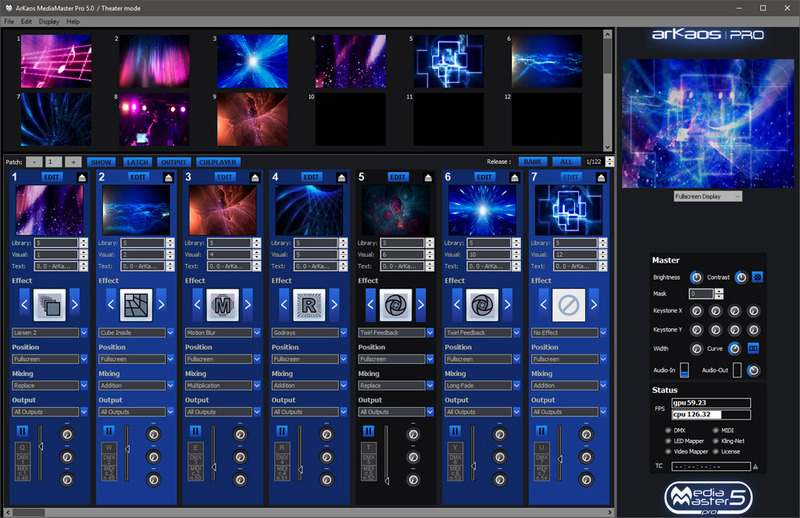 Read all about it here or upgrade directly to the new GrandVJ XT and learn all about our new Pixelmapping addition. VJs all over the world… step up to the new GrandVJ XT and get a taste of the interesting professional features we’ve implemented in our brand new version. Pixelmapping through ArtNet or KlingNet is possible now. The GrandVJ XT allows you to send video content to all sorts of lighting fixtures. This next level solution bridges the gap between VJing and high-end video solutions. For the development of this new GrandVJ XT, ArKaos took advantage of its knowledge of the lighting designer's market and now makes it available to VJ’s all over the world. We recently met with Timothy De Mets of Arf & Yes, lighting and video designer for the Belgian edition of the international format "The Voice" and we were able to ask him some questions just before the live broadcast. He explains why he uses the ArKaos MediaMaster Pro for the show and what its benefits for the TV sector are. ArKaos Launches MediaMaster Pro 5.0 with MediaHub! Read more about ArKaos Launches MediaMaster Pro 5.0 with MediaHub! ArKaos Pro announces the official release of the new MediaMaster Pro 5.0 with MediaHub. The launch of MediaMaster Pro 5.0 at Plasa, UK follows a successful preview at Prolight+Sound in Frankfurt earlier this year. 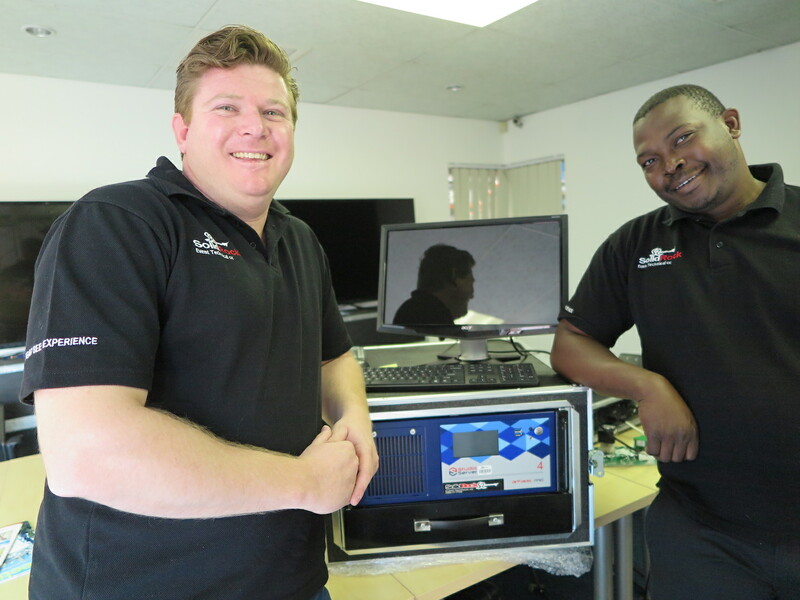 In search of a solution that would cater for their AV needs, a server with multiple output points and one which would accommodate both small and large events, Johannesburg based Solid Rock Event Technical took ownership of a new ArKaos Studio Server. 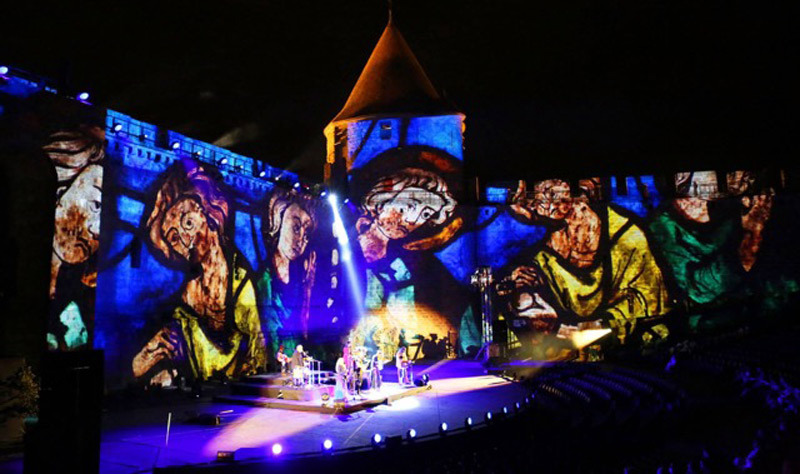 In August, the city of Carcassonne created a live show at the heart of the medieval city to offer its inhabitants and the thousands of visitors present, a quality show combining tradition, history, heritage, light and sound. For this creative project, the City of Carcassonne turned to Christian Salès and his team at OC Group. DWR Distribution was delighted to welcome the founder of ArKaos, Marco Hinic and colleague Benjamin Bauwens to South Africa for the very first time in August. They visited clients in Johannesburg, Durban and Cape Town and also presented training at DWR’s offices. ArKaos MediaMaster software and Media Servers offers a solution for show and lighting used all over the world, allowing lighting designers to create visual projection on video screens or LED Walls. Read more about Performing live? GrandVJ has you Covered! ArKaos has produced a brilliantly effective new accessory, which instantly integrates the latest version of its renowned GrandVJ software with one of the industry’s most popular MIDI controllers, the Akai APC40 mkII. On November 13th ArKaos CEO, Marco Hinic, and ArKaos Technical Sales & Project Coordinator, Benjamin Bauwens, have had the pleasure of attending a GrandVJ XT projection mapping seminar organised by Dirigent and hosted by VJ USK. The event took place in the Tsukumo Akihabara store in Tokyo (address here), a build-to-order computer shop that has created, in collaboration with Dirigent, a custom-built Projection Mapping PC. This powerful tool comes fully equipped with a pre-installed GrandVJ XT license, a high-performance graphics card and an integrated BenQ projector.